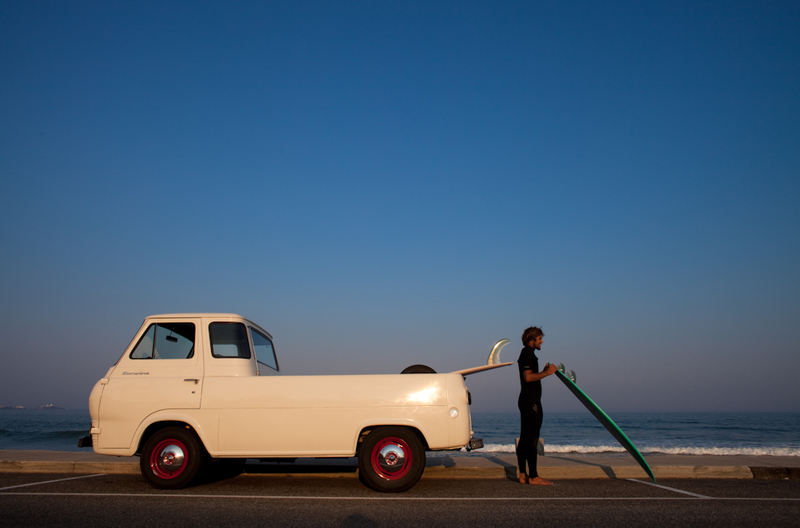 Though the van is pretty cool, the 5'11" quad fish Dave Rastovich is holding is even cooler. The quad fin project I've been working on with Thomas Campbell has been bearing some sweet fruit. Thomas has been fired up on these quads and knowing that Dave was going to be passing through town, Thomas had me make one up so he could get it to Dave as he headed to the East Coast to chase hurricane swells and then on to France for a gig there. In Maine, Dave hooked up with Dug and the boys at "Get in the Van". They've got a good pulse on the East Coast surf scene and put out a nice blog with some great images of their capers. For more photos of Dave's run, go to Get in the Van / the Chase Channel and click on the (hurricane) Earl button. After we got back the images and feedback from Dave, I told Thomas that if we can make a surfboard that will inspire you to surf, play music, and make art then we've made the world a better place.